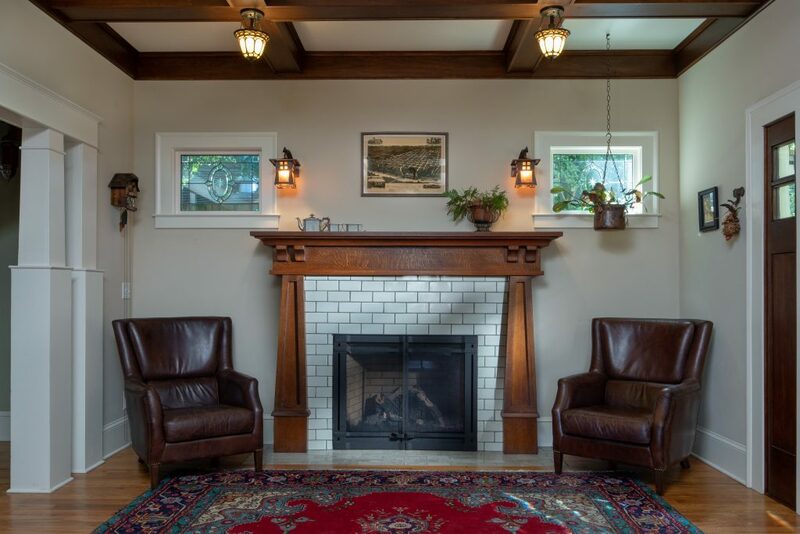 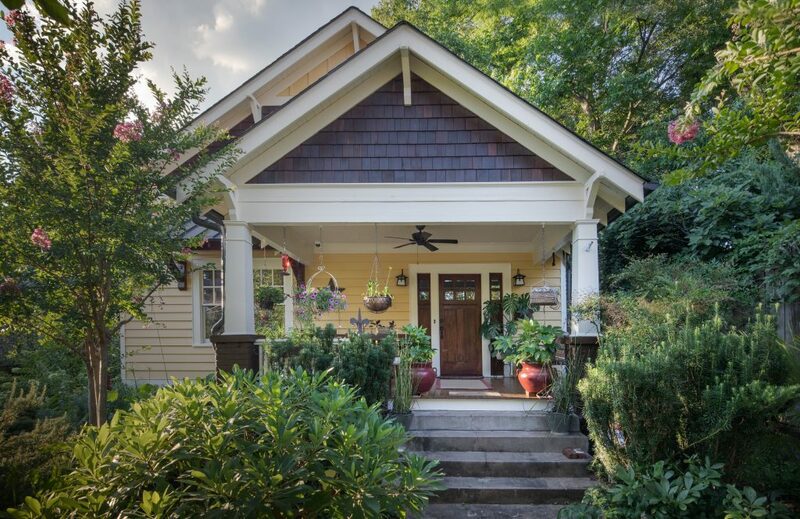 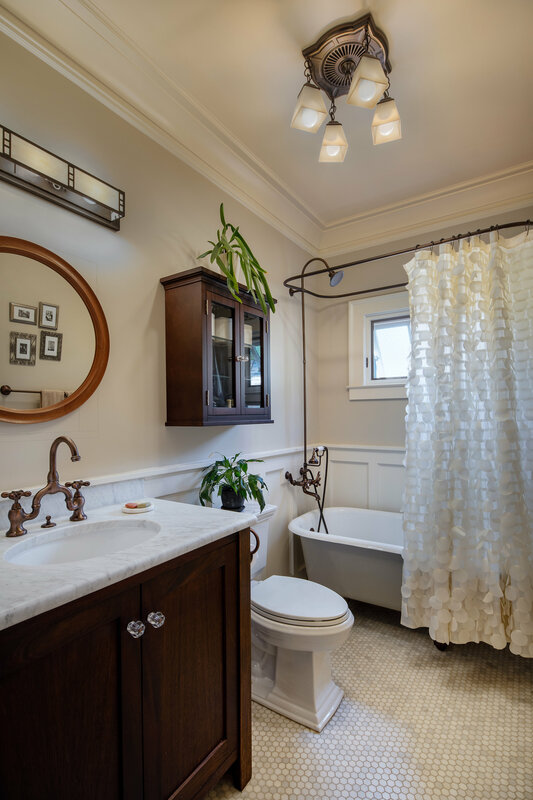 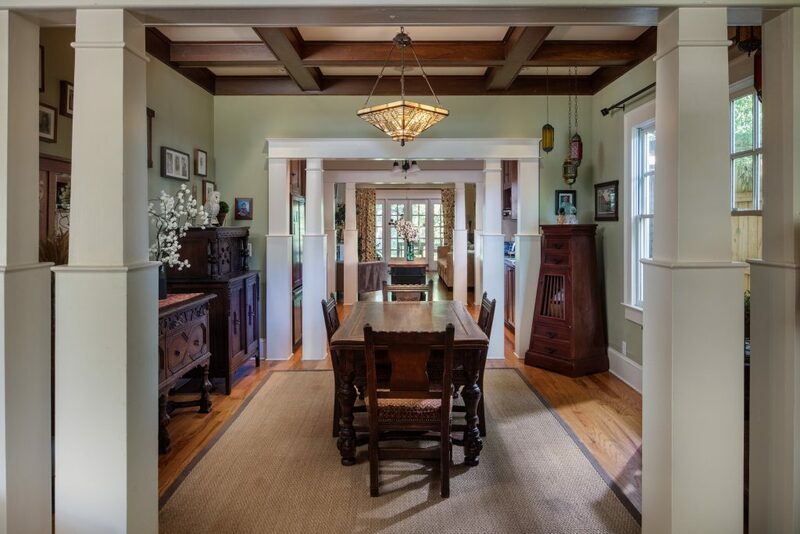 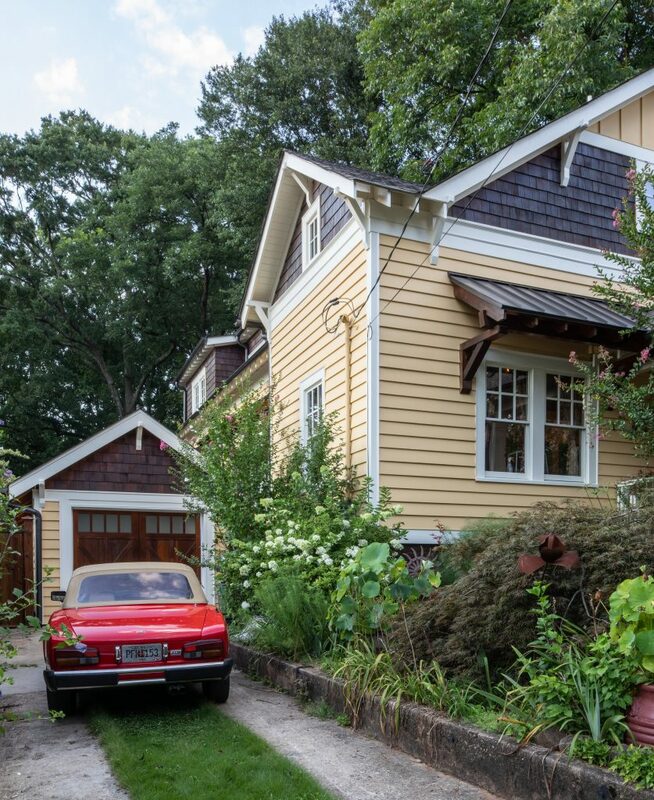 Near downtown Decatur and St. Thomas More Church, this small craftsman cottage was lovingly restored by a young couple. 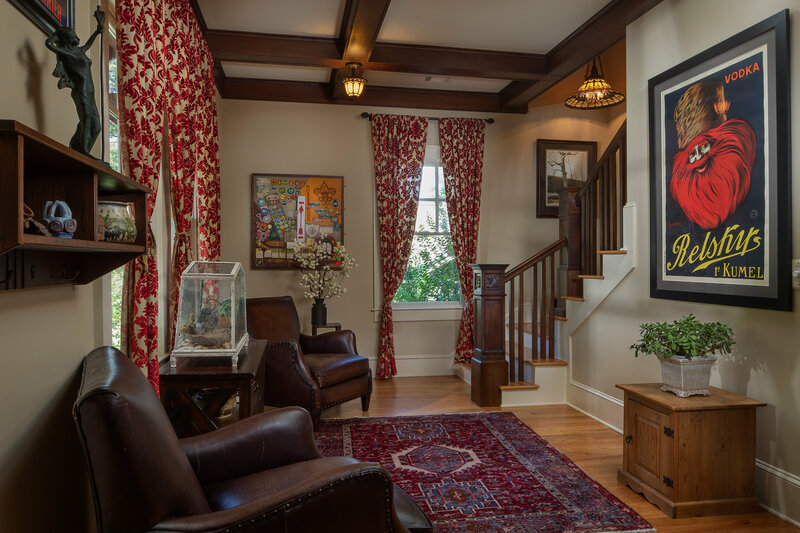 Once active children came into the picture…the family needed an addition, and asked my office for a second floor design. 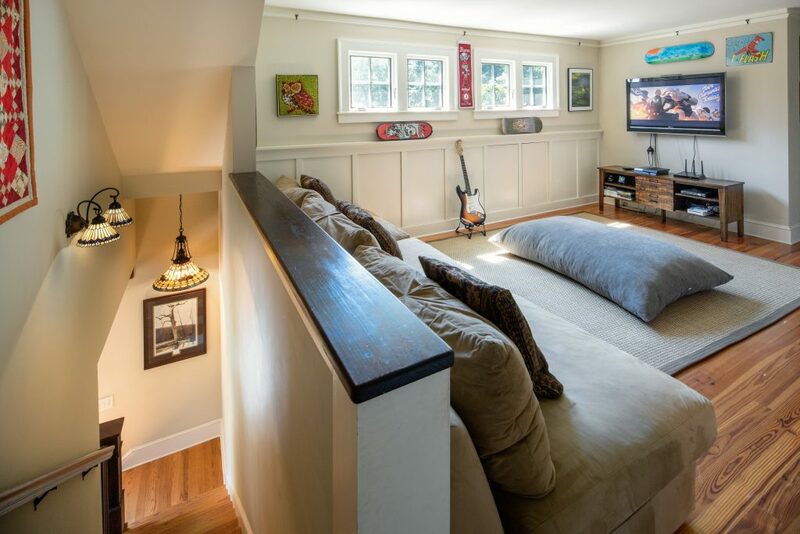 New spaces added included three new bedrooms and two bathrooms, with a vaulted family room space off the kitchen in the back of the house. The entire existing ceiling structure and roof was removed, with the design tucked under new roofing and recessed copper lined dormer windows. 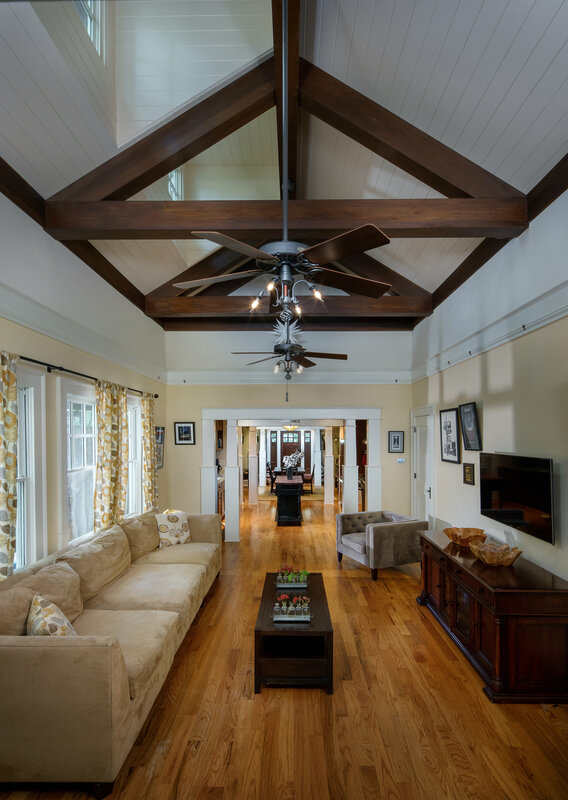 The design solution includes craftsman inspired wood beams in family room spaces, and open staircase to the kids playroom. 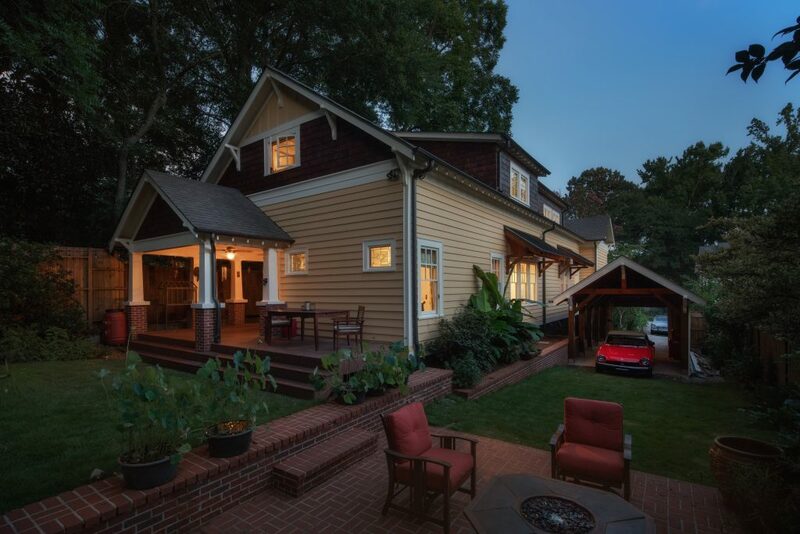 A later phased project was a “Garage/Carport” addition along the driveway. 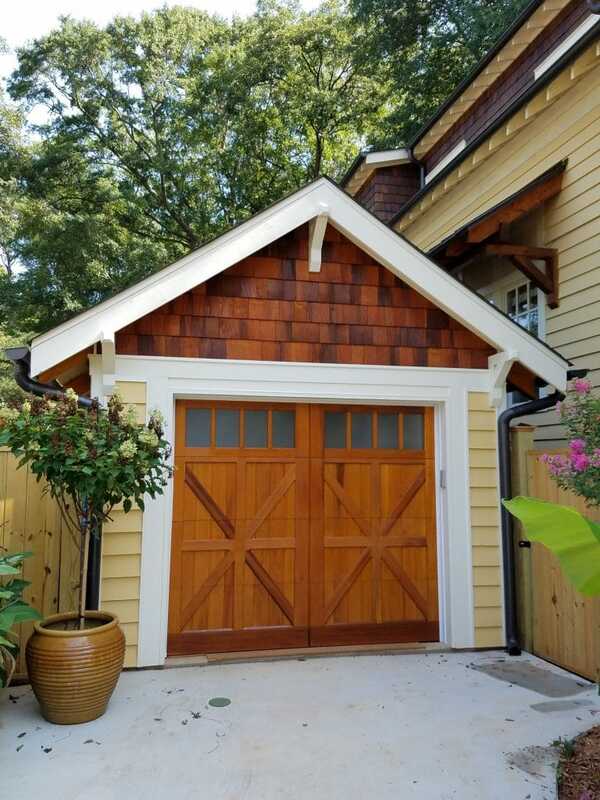 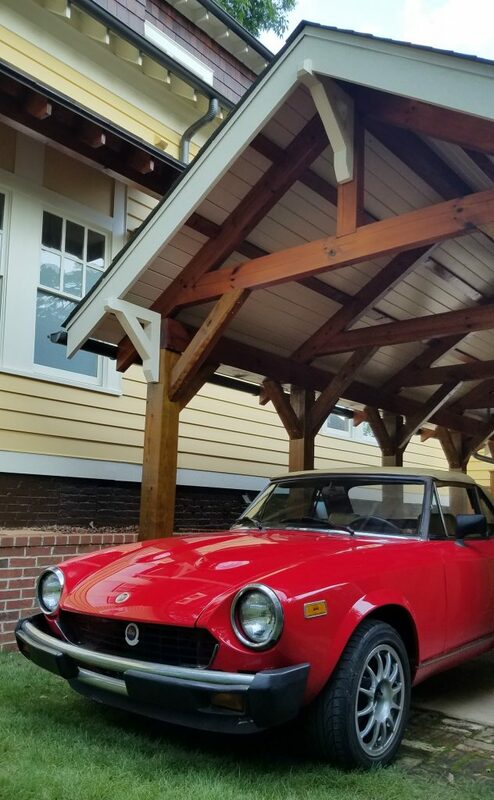 The new “Garage/Carport” serves multiple functions: storage, fence, screen, and classic car garage. 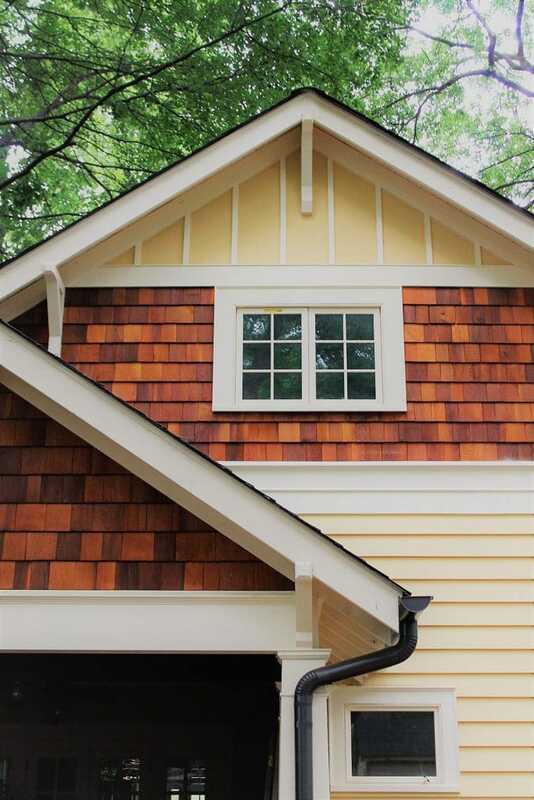 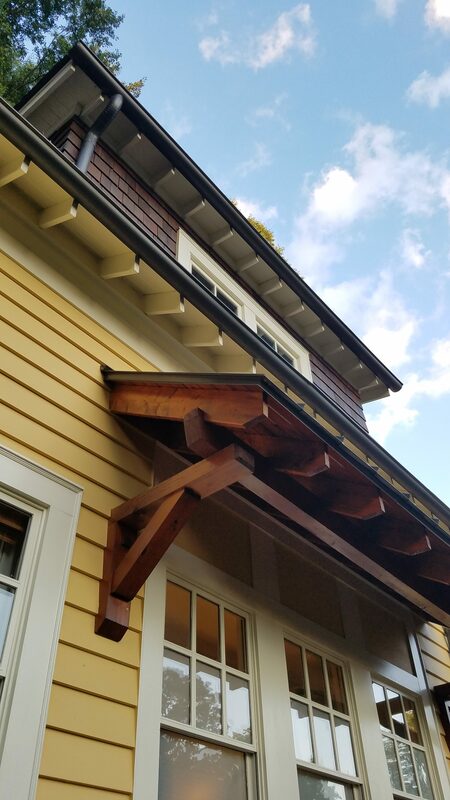 Wood brackets and tongue and groove wood was used on exterior trim work, recreating historic construction patterns.